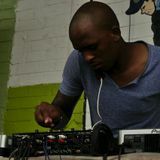 SoulFul Deep Jazzy House Lover. . .